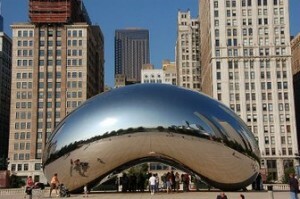 I’ve said this from the beginning: The NRA’s de mimimis use of Anish Kapoor’s sculpture is fair use. As much as Kapoor–or others, for that matter–may despise the NRA’s appropriation of his artwork for political reasons, U.S. Copyright law does not take into consideration the appropriator’s political ideology when assessing fair use. It’s understandable Kapoor would feel the need to “stand up” to the NRA and their “divisive and hate-filled campaign,” but one cannot help but see this as a symbolic stand that under law has no merit. The NRA’s use of images of Kapoor’s work is pure political speech, the most protected form of speech under The First Amendment. The use of the artwork is also minimal, and not used and targeted for commercial reasons. In fact, and again, as much as some may oppose it, the NRA’s use of Kapoor’s artwork in their video is to give an overview of what is the United States, to them. We’ll keep an eye on this one. I haven’t read the complaint (19154585-0–19332) yet, so more thoughts on that later. This entry was posted on Wednesday, June 20th, 2018 at 11:44 am	and is filed under Copyright, Feature, Litigation. You can follow any responses to this entry through the RSS 2.0 feed. Both comments and pings are currently closed.